LE 5 DÉCEMBRE EST POUR LE » CONTINGENT 54 » UNE DATE IMPORTANTE . C’EST LE JOUR RETENU PAR LES U -N- C POUR CÉLÉBRER TOUS LES SOLDATS QUI SONT TOMBES EN AFRIQUE DU NORD, SANS OUBLIER CEUX QUI SONT MORTS APRES LE 15 MARS, DATE DE LA SIGNATURE DU CESSEZ-LE-FEU EN ALGÉRIE. 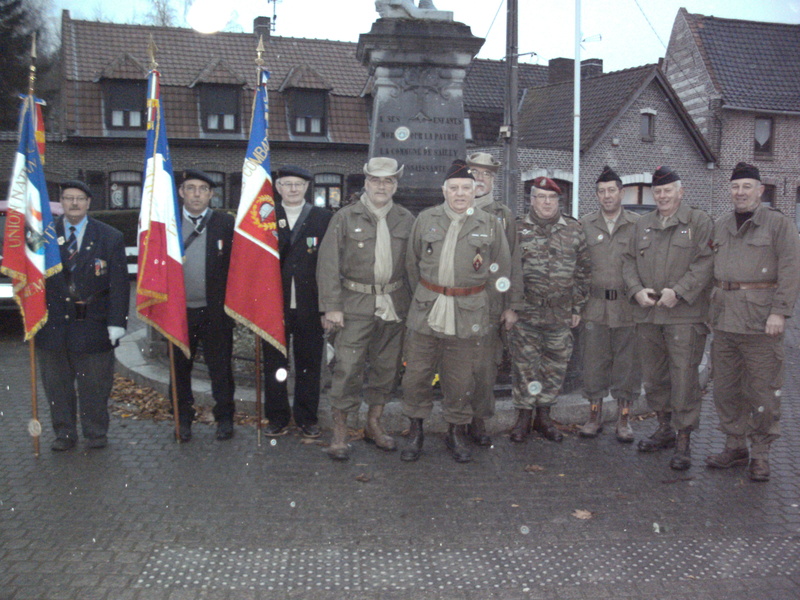 LE » CONTINGENT 54 » A DONC PARTICIPE AU DÉPÔT DE GERBES AUX MONUMENTS DE WILLEMS, SAILLY-LEZ-LANNOY, LYS -LEZ-LANNOY, POUR TERMINER A LA TOUR CRÉNELÉE DE LANNOY . PHOTO : Monument de Sailly-lez-Lannoy avec Patrick, Jean-Pierre, André, Alain, Ali, Guy et Jean-Luc .